The obvious benefit that Fashion Square Mall is seeing is their operation costs is significantly reduced, both their exterior and interior LED lighting and is saving them $6,200 on a 32-day billing period. Just from upgrading their lighting to LEDs they will see savings of roughly $74,400 annually. 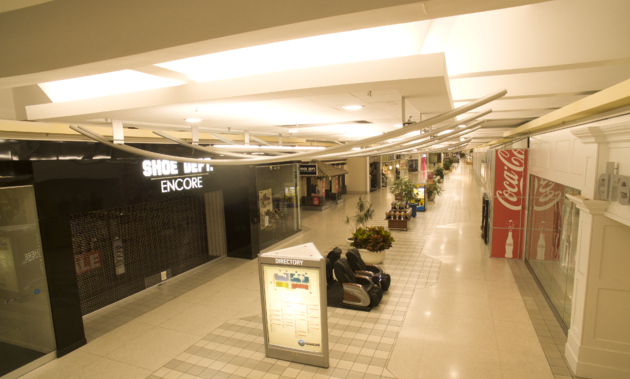 The LED lighting upgrade by Electro-Matic Visual and Fashion Square Mall not only just reduces operating costs. LED lighting has proven effects on buying behaviors and overall better customer experiences. Shoppers now experience a brighter shopping center, promoting a more positive and energetic atmosphere. The in-depth photometric analysis of Fashion Square Mall performed by Electro-Matic Visual evaluated the proper lighting levels and balance to show off the architecture within the shopping center. The new interior LED lighting will make customers feel safer, lengthen their stay, buy more and generate repeat business.